Global Aviation hires the best people in the aerospace industry to work with us. 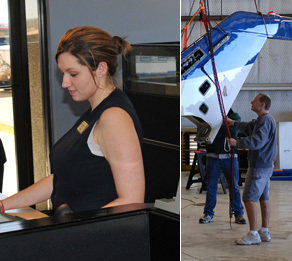 People who are dedicated to the preservation of aviation from the front desk to the back of the hangar. We offer generous benefit packages, great growth opportunities, and competitive wages. Weâ��ll also see that you get the latest in factory and FlightSafety training. If you feel you qualify, fill out an application and fax it to us at 281.443.0332.